"Oricell" fiber has a wide application in high-grade jeans,women's underwear, shirts, casual clothing, knitting sweater, home textiles, high grade filter material,non-woven fabrics etc. 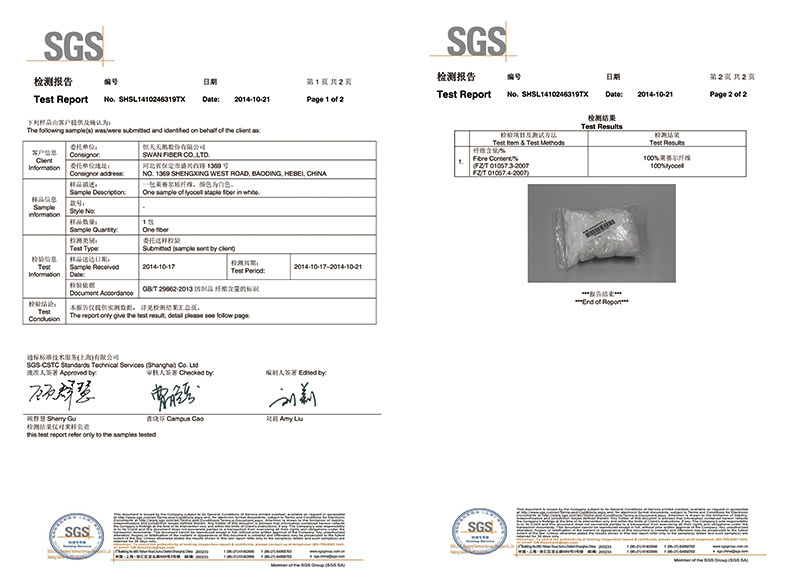 Variety:1)normal staple fiber :2)crosslinked staple fiber. 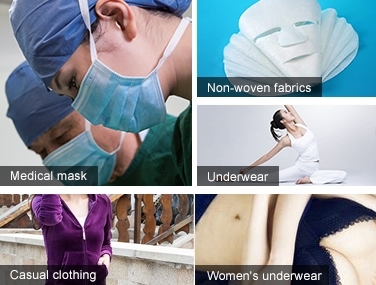 "ORICELL" is a brand of lyocell staple fiber produced by Baoding Swan Fiber Co.,Ltd. "ORICELL" fiber is made of high quality renewable wood pulp with a new non-toxic and harmless organic solvent,which can not cause pollution to environment, and can be recycled and used again. Cellulose first dissolves then precipitates in organic solvent, so its production process is a physical process and no chemical reaction occur. It belongs to "green manufacturing". 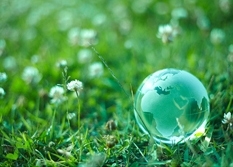 "ORICELL" fiber can be natural degraded or burned into carbon dioxide and water after use and is a environment friendly fiber. 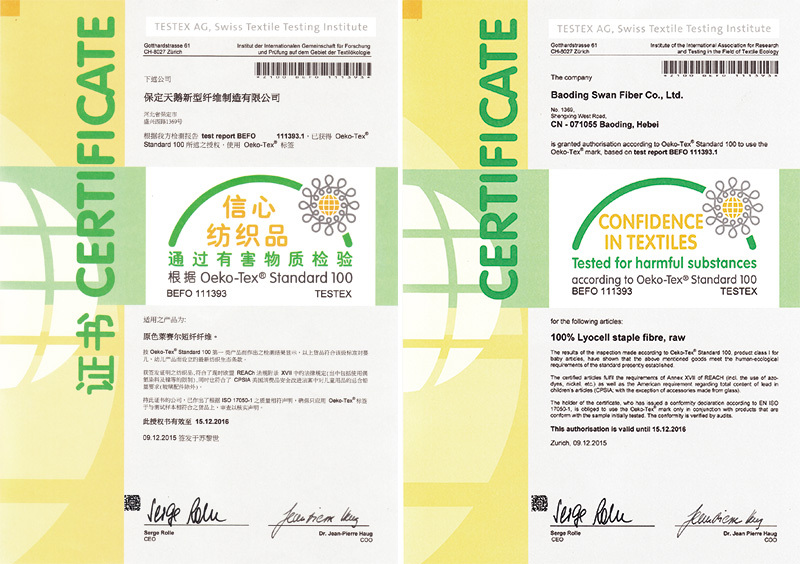 "ORICELL" fiber has not only the characteristics of natural fiber it self such as hygroscopic property, breathability, comfortable property, glossiness, easy dyeing and biodegradability but also good strong stretching property, can be blended easily with other natural fibers and synthetic fibers. It has high wet strength, especially the wet strength is obviously better than that of viscose staple fiber. The fabrics containing lyocell fiber have the comfort of cotton, drape of viscose, strength of the polyester and hand feeling of silk and are suitable for underwear and outwear and also have excellent performance of after -treatment and size stability, coloring, dyeability and washing color fastness. "ORICELL" fiber is a true green fiber. Baoding Swan Fiber Co., Ltd. Is China's first large-scale lyocell enterprises. "Oricell" fiber uses natural, renewable wood pulp as raw material, the whole production process is environmentally friendly,It belongs to "green manufacturing "．"Oricell" fiber can be natural degraded，coming from and returning to nature . "Oricell" fiber has many characteristics, such as a good wet absorption, excellent dry and wet strength, high initial modulus, low shrinkage in water and good dimension stability. "Oricell" fiber brings together the advantage of natural fiber and synthetic fiber, with cotton's comfort,viscose's drapability,polyester's strength, wool's crispy handle and silk's feel.Made from natural element,but better than natural products. Normal lyocell staple fiber is easy to be fibrillated, which can make the fabric surface produce a peach skin, sand washing, velvet and other special effects. Crosslinked lyocell staple fiber is anti-fibrillated, a feature which can make the fabric have a soft hand feeling, good drapability, excellent wet absorption, wearing comfort and so on. 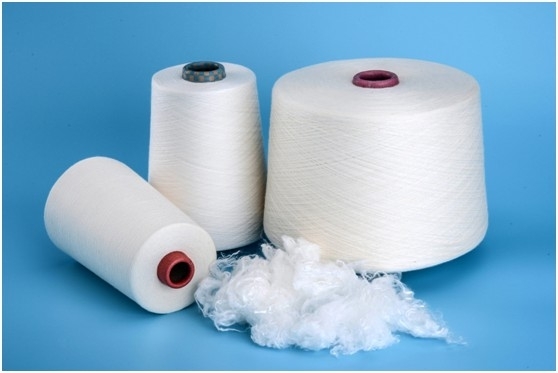 Crosslinked lyocell staple fiber is usually used for knitting sweater, etc. "Oricell" fiber has a smoother fiber structure than cotton, with cotton's comfort, which can make skin feel cool, smooth, dry comfort. "Oricell" fiber with drapability of viscose and strength of polyester, "Oricell" fiber has a character of good drapability, fast dry, wrinkle-free and easy care. "Oricell" fiber with wool's crispy handle, "Oricell" fiber has a fine ad smooth hand feeling, softness, and plump, fluffy in texture. "Oricell" fiber has the same hand feeling as silk, it’s smooth and has a soft luster, which can give you a second skin feeling.